Chapter 13 is available whenever you need it, so long as you do not file in bad faith. Anyone who resides, works or has property in the U.S. can file for Bankruptcy Relief. First, you must complete the credit counseling (about 30 minutes), then pay the filing fee ($310), then make affordable attorney fee arrangments and we will prepare your three-page Petition and file it with the Bankruptcy Court. The minute your attorney files the Petition, you and your property are under Bankruptcy Protection. Bankruptcy Court is division of the Federal Court system, and every state has one or more Federal Districts. You may file a Bankruptcy case in any District where you have resided for at least 91 days or where you have your principal asset or place of business. Our attorneys can advise you fully about how a recent change of residency can affect your case. Although a lack of income is not an obstacle to filing a Chapter 13, you must eventually demonstrate that you have regular income that will be sufficient to pay your living expenses and still have something left over to make a payment towards your plan of reorganization. 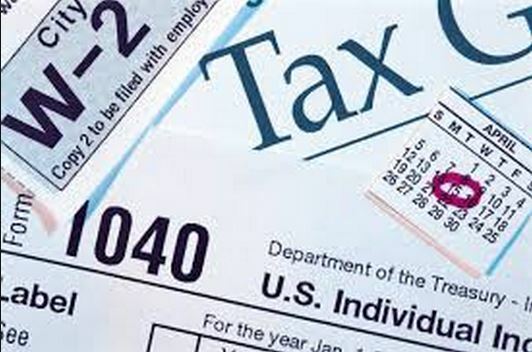 Social Security, pension benefits, unemployment benefits, earnings from employment, income from operation of business and gift income all qualify as regular sources of income. Our attorneys will advise you fully about all the possibilities for making your plan work, even if you are unemployed, laid-off, retired or disabled. If Chapter 13 is the best option for you, our attorneys will find a way to make it work. To qualify to reorganize your debts in Chapter 13, you must have filed all State and Federal Income tax returns required, or at least be ready to file them within three months after filing Chapter 13. Bankruptcy Rules require you to file only those tax returns past due for the most recent four years or the bankruptcy court clerk may dismiss your case. Our attorneys can get an extension if you have years of unfiled returns, so you'll have a chance to comply and get current with filing tax returns as part of your overall financial recovery. If you are self-employed or engaged in business, you will need to prepare a monthly operating report that reflects your income and expenses from the operation of your business (a one page form) until the case is discharged or you stop operating the business. Our attorneys have years of experience preparing and reviewing operating reports and can show you the short-cuts and time-saving tips that make accurate reporting a breeze. If you are married, you may file individually, but you must disclose the fact that you are married, your spouse's identity and income and expense. If you live and share expenses with someone, you must disclose the regular contribution the person living with you makes toward payment of your living expenses (if any). Our attorneys know what facts the Court requires and how some living arrangments can be described accurately, without getting people involved that you prefer would remain unaffected. Be sure to give us all the details during your free pre-qualifying attorney evaluation.